*This post is part of a sponsored campaign with PicCollage, HP and MomSelect. I don't know about you but I take a ton of photos! I am sure that my friends on social media would be completely overwhelmed if I posted each one individually and if I printed each photo than I would need to store them someplace. Because of this I often turn to photo collages to showcase life's precious moments. My favorite app for photo collages is PicCollage! 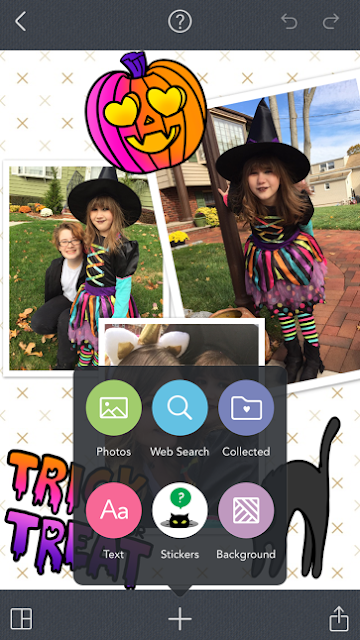 It is so much more than a traditional photo collage app, it is full of ways to make your collage perfect! I love that when I am using PicCollage I can add the photos that I want either in a grid or freestyle. I can then add text, different backgrounds, and even fun stickers! There are endless possibilities when you are designing your photo collage and they are easily customized. 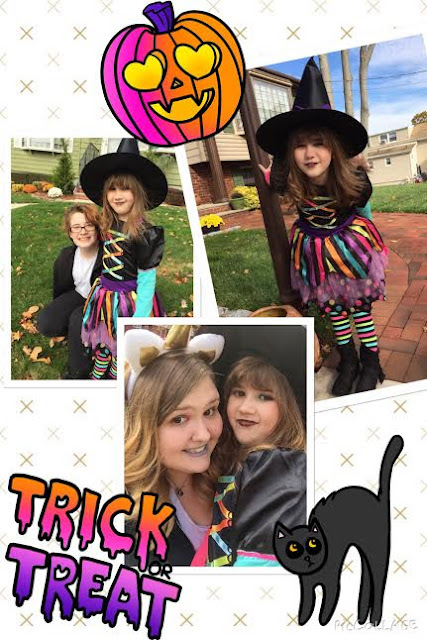 I decided to make a photo collage on PicCollage featuring a few of my favorite photos from this Halloween! I customized with a background and Halloween stickers as well! Once I was done it was so easy to upload to social media to share with my family and friends! One of the coolest things about PicCollage is that you can print straight through the app thanks to technology from HP! All that you have to do is pick the photo you want printed, click print from home, select your printer, and print! 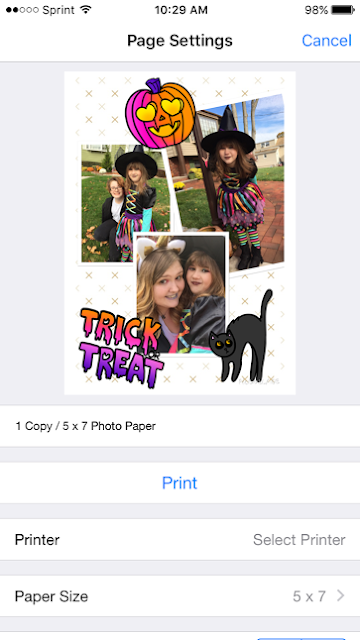 I love that through this technology I can create picture collages and print them out after create them so that I have prints in my hand quickly! PicCollage is one of my favorite apps and I am sure that it will become one of yours too! Visit the PicCollage website HERE and download the app on your Apple or Android device!! I seriously LOVE PicCollage! 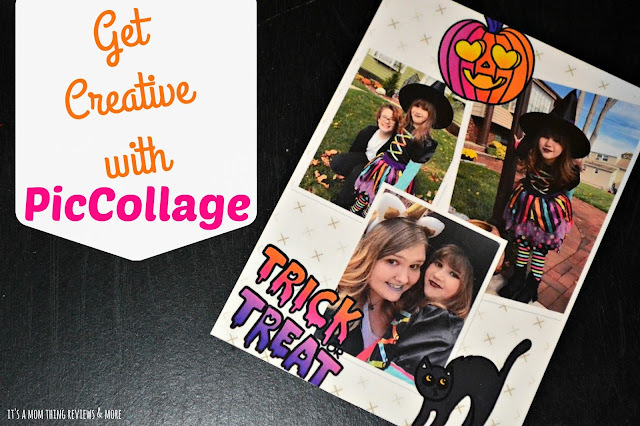 I created and printed our Halloween photos as well and gabby LOVES to look at it each morning. I've use Pic Collage in the past but haven't used it in a while. Thanks for highlighting them again and reminding me that I need to get back to them.